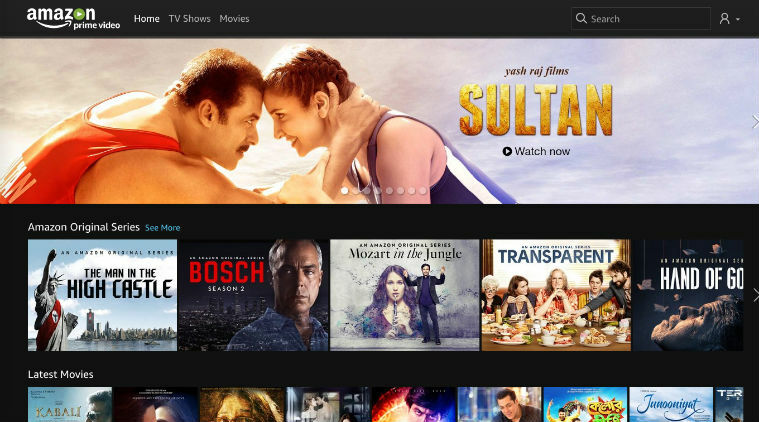 Amazon Prime Video service, launched in India a year back, offers unlimited, ad-free Hollywood and Bollywood entertainment for just Rs.499 per year! We would say this is the best entertainment package currently available in India. 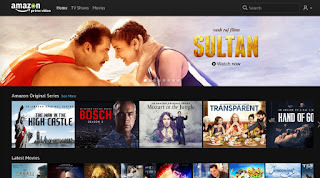 Apart from latest movies and TV shows, Amazon started offering exclusive local content made for Indian audience. You can watch them on your PC, Android and iPhone devices. Amazon Prime mobile app is powered with offline viewing as well as low bandwidth consumption, which is a great feature considering the average internet speed in India. Generally people doesn't like watching movies and TV shows on smaller screens. People prefer bigger screens and Hi-Fi audio systems to get real theater effect. 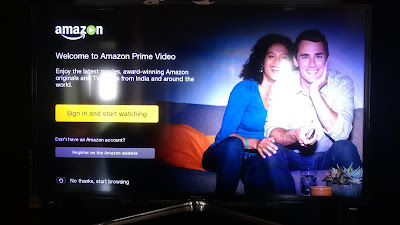 Unfortunately Amazon Prime Video is not available in most of the smart TVs available in India. One option is to useAmazon Fire TV Stick or similar casting device to watch the content on TV. But you would have already paid a premium amount to buy a smart TV, you won't be interested in spending another 4K for another accessory. 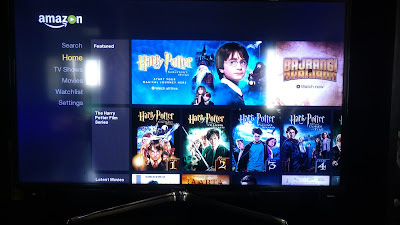 How do I install Amazon Prime Video App on my Samsung Smart TV? By default your TV doesn't support Amazon Prime Video App but there is a way you can install it on your TV! Almost all Samsung Smart TV models are available in US and Europe. Apps like Amazon Prime Video, NetFlix etc. are available in the App store for these countries. What we are going to do is to change the TV region to US or UK so that you can access the App Store of that country. How to change Region in Samsung Smart TV? For TV models prior to 2013, open the 'Smart Hub', then press 'Fast Forward, 2, 8, 9, Rewind' keys on your remote in the same order. A screen will appear where you can select the preferred region. Select a region where Amazon Prime Video appears as default app such as United States or United Kingdom. Agree to the terms and conditions, once accepted, the TV will restart automatically. Now Smart Hub will download all default apps for the region you selected. If you are not seeing Amazon Prime Video in the installed apps list, go to Video category and manually download it. Procedure is same for post 2013 models except the way the region needs to be selected. Go to Menu -> Setup -> proceed till the terms and conditions page -> while you are on this page, press 'Mute, Return, Volume +, Channel Up, Mute' keys on your remote sequentially. Select the preferred region and proceed with the setup, once done the default apps will be downloaded. App installed but gives "region not supported error"
Some apps such as NetFlix won't work on regions which are not supported by them. You can overcome this by setting up Smart DNS on your TV, do an internet search or contact us if you need to know how to do this. With three simple steps you can register your TV, refer the TV screenshots below. Click on the Sign in and start watching button with your smart remote. 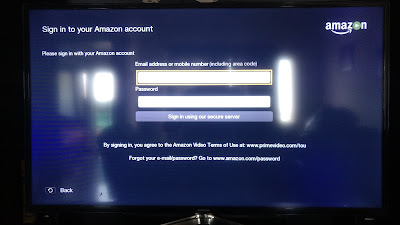 Enter your Amazon registered email address and password. Home screen of Amazon Prime Video service. That's it! Now you can watch all your favourite movies and TV programmes on your big screen. Enjoy!